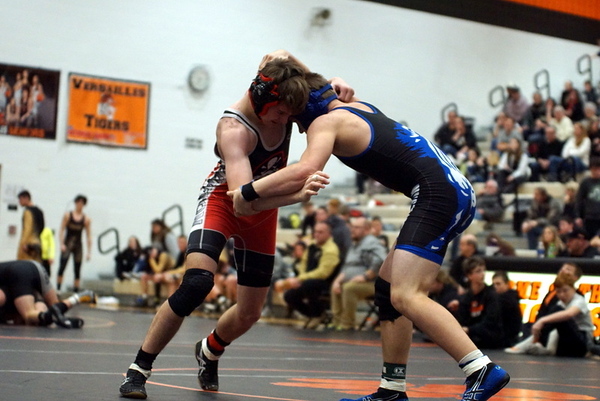 (VERSAILLES) - Pirate Wrestlers defeated Allen East 37-34 in the OHSAA Duals Tournament with wins from Tayton Kleman, James Badial-Luna and Andrew Burroughs. Versailles defeated BHS 65-12 in the second round. Badial-Luna and Landen Luginbuhl won by pin for Bluffton.